How we, with our deep customer insights, position L’Oréal Paris on the Nordic markets within the fastest growing segment online – beauty. Specializing in concept planning, trend research, media production, SEO insights and measuring, we define the digital way forward together with L’Oréal Paris, conquering the Nordic markets of beauty, hair & skincare. 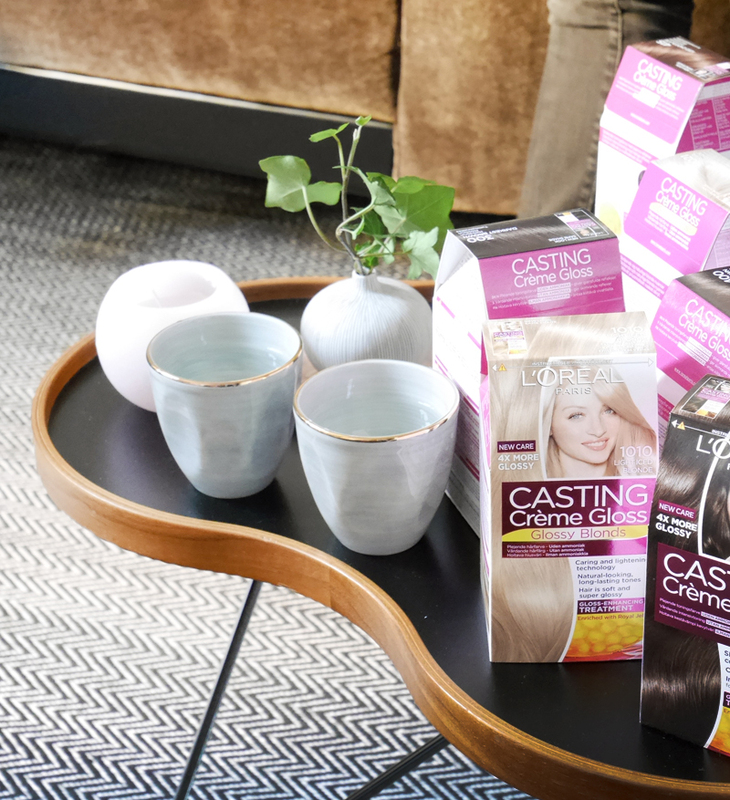 How to create a buzz for Casting Crème Gloss – a home coloration product that makes it easy and cost efficient to color your hair at home. "There is a general negative perception regarding home hair coloration – in the choosing of the right color, the process to apply and the results. It really is not a difficult process to follow and with the right instructions, anyone can confidently color at home with amazing results. Therefore, with the #MyHomeSalon campaign, we want to make any interested consumer confident to color at home, and ultimately become the brand ambassadors for Casting Crème Gloss." The customer journey helps us understand the user's behaviors, driving forces and needs. This gives us a clear picture of which touchpoints a user interacts with throughout the whole process. In the case of Casting Crème Gloss, our insights team found untapped opportunities behind the vast share of Google search enquiries into home coloration, in the Nordics. The Nordic audience was, for example, more prone to be interested in finding the solution, rather than wanting to focus on the problem of finding their first greys. In the customer journey we understand what happens before the purchase and after the purchase. What triggers the end of one customer trip might be the start of the second. Together with the client, we can decide which parts of the customer trip reflects our goals and ultimately yields the best results. For Casting Créme Gloss, we created a digital home hair color salon in order to support the customer journey in relevant ways. We also rode on the current power of influencers to capture and engage the audience. By this, the brand created a voice, an impression and a dialogue with the audience. In addition to the continuous flow of advertising material, such as interviews, social media animations, banners, shop-in-shop on E-commerce, instructional videos, blog posts, campaign pages and in-store customer experiences bridging off- and online worlds, we also created relevant "Always on” content. This is where we could really influence and shift the attitude around the brand, which was highly relevant for a global brand in the Nordic market, where opinions and attitudes play a big role in our audience's lifestyle. … or in its simplest form, makes one smile. We incorporated our insights from the first to the second round of the campaign, to address the emerging consumer needs even better. This helped us to come up with new ways of communication, such as tutorials, that could be watched and understood without sound. By this, the consumer could follow step-by-step coloration instructions even when their hands were (literally) full! Consumers are now spending on average 3 x more time on the #myhomesalon platform compared the entire L’Oréal Paris range! This also resulted in the highest market share ever in Finland – amazing! Visitors stayed on the campaign page an average of 5 minutes, which was double the expected average. This implies that the content was a success – it both interested and engaged the users. “Nordic Morning created a concept we strongly believed would make a difference for the consumer – delivering educational and relevant advice, answering all the questions asked on Google."